Jaan Lubi was born between 1905-1910 and grew up in the Estonian town of Viljandi together with his mother. He had no specific employment, but subsisted as a photographer and musician - and with forgery and trade of stamps. 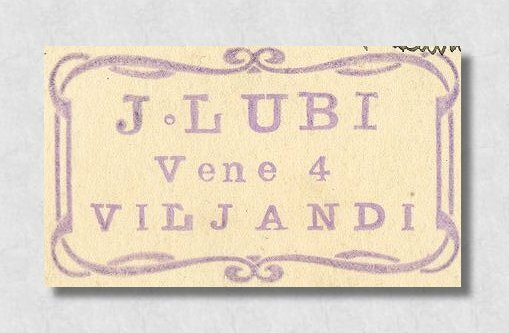 Jaan Lubi used printing plates that according to unconfirmed sources were made in Finland. It is not known where the fake stamps were printed; most likely in some private printing works. Lubi operated an extensive dealing and trading activity with dealers and collectors in many contries, especially in USA, England, Australia, India and South Afrika. He sold or traded Estonian stamps wholesale with the forgeries mixed in. 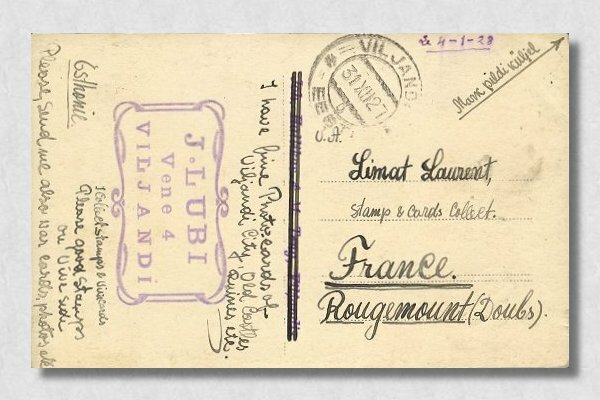 Below is what I believe is an authentic offer to one of his contacts in France for stamp trading, sent from Viljandi 31 December 1927. It is not know that any of his forgeries were sold domestically in Estonia. There he only used approval booklets to offer the foreign stamps he had received in exchange from his contact. After the disclosure of the extensive activities of the forgers in Estonia, also Jaan Lubi was arrested. The police searched Lubi's house in Viljandi, but could not find any evidence. After the communist take-over in Estonia in 1940, Lubi was employed as photographer by the police. When the war broke out in 1941 Lubi tried to escape to the Soviet Union by sea, but perished in a storm outside Narva. 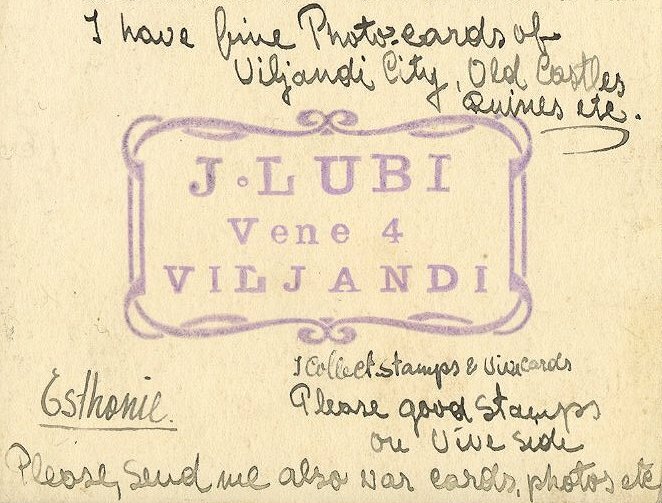 Note also that most of Lubi's forgeries are cancelled, usually with fake cancels of Tallinn.